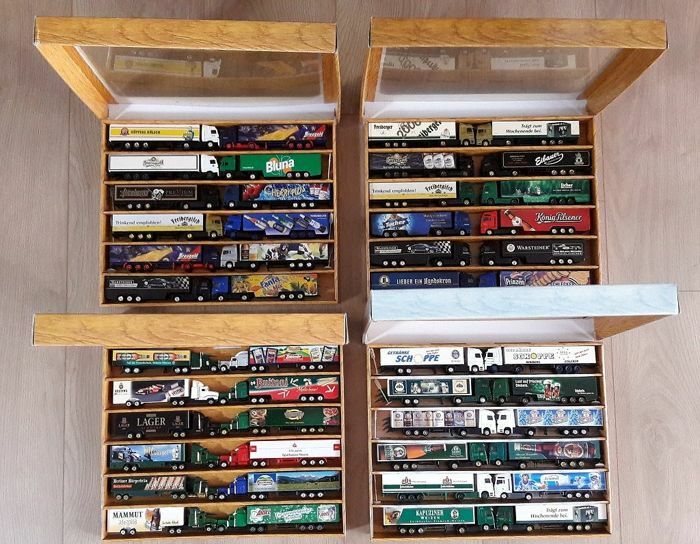 Really nice collection with total 48 pieces of advertising trucks, trucks with semi-trailers, all models in the scale of 1/87, and all are in very good condition, barely dusty, delivered in four collection boxes with lid (mini - truck - collection boxes) these have have traces of use. 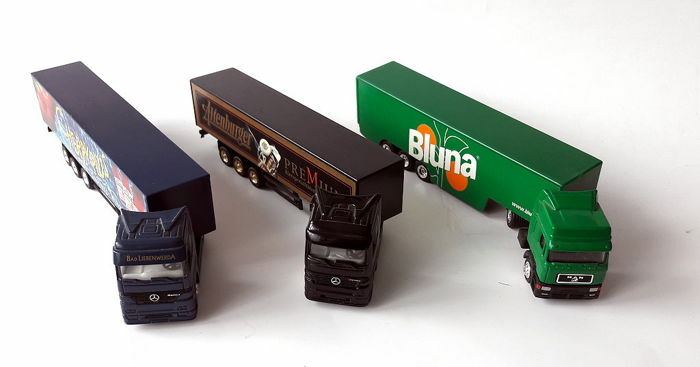 Many types like Actros, Scania, M.A.N., Volvo - trailer trucks are included. 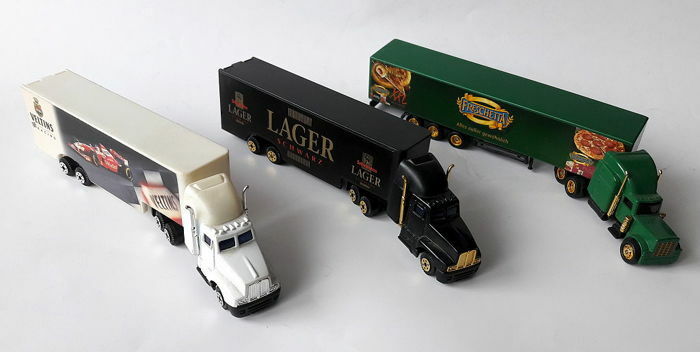 All models are made of metal with plastic parts, the semi-trailers are all detachable. 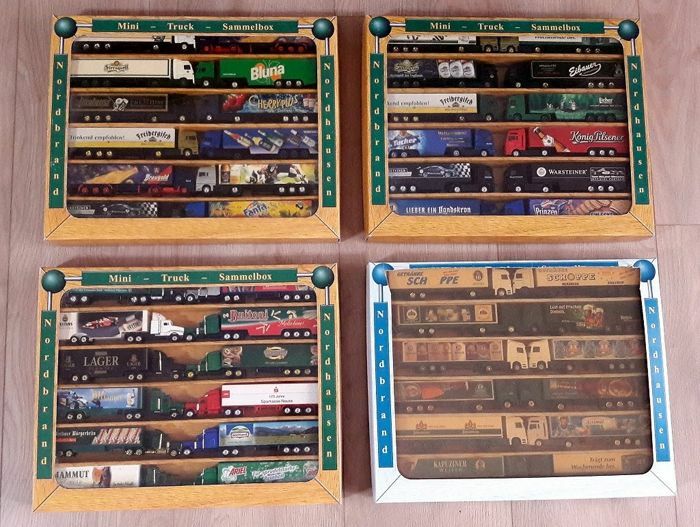 All models in very good condition, please take a look at my pictures for more details. Worldwide shipping only as insured package.